25 July - Hedde: BTW All links to online available class materials are on the local website. 19 June - Hedde: Dear all, all registered applicants will soon, in the next couple of days, receive an email about the confirmation period. Please keep an eye to your inboxes (including the spambox, as such emails may end up there). We'll announce it on the blog when the emails have been sent out. If you haven't received any by then, let me know at myfamilyname @ yahoo.com. 04 June - Hedde: Curious to learn who else registered? Now you can check. Here’s the link: http://sabine.laszakovits.net/egg/ Thanks, Sabine and Ben, for all your work! 24 May - Hedde: Registration is now open. Go to the local site (http://egg2014.unideb.hu/) and register from there. Time is limited, so don't be late! 11 May - Hedde: Dear all, please have a look at the local website: http://egg2014.unideb.hu/ Note that we will also use this website to inform you about classes, contents end registration, so please have a regular look. BTW More information about the registration procedure will follow soon! 15 April - Hedde: We will also have a fourth phonologist present: Joan Mascaró from Barcelona (UAB). Now, all teachers are known. Information on the registration process will follow soon. 14 April - Tobias: ...and here is phonology: this year will be around variation, i.e. what kind of things there are out there, and how they can be understood in a formal way. 10 April - Hedde: And also semantics is complete! Daniele Panizza and Edgar Onea (both from lovely Goettingen) will come (co-)teach, including a class on semantics and psycholinguistic experiments. Looking very much forward to this school! It's going to be a lot of fun. 08 April - Hedde: And the syntax team is complete: Doreen Georgi and Martin Salzmann (both from Leipzig) will join the egg this year. Welcome! 07 April - Hedde: The school starts taking shape. Already several eggs are in the basket, but there will be more. On the syntax side (in its broadest sense), we'll have at least Olaf Koeneman (Nijmegen), Eulalia Bonet (Barcelona), Bronwyn Bjorkman (Toronto) and me (Hedde Zeijlstra, Göttingen). On the semantics side the school will feature Sabine Iatridou (MIT), Viola Schmitt (Vienna), Berit Gehrke (Paris) and Elena Castroviejo (Madrid). But there is more to come, so stay tuned! here we go for EGG14, to be held in the lovely city of Debrecen in Hungary from July 28th to August 8th. Keep an eye on the blog, more to come as we proceed. 07 August 2013 - Michal: The certificate of attendance is now ready for your customisations. 22 July 2013 - Michal: The last class now got its abstract. 13 July 2013 - Michal: All the classes are now announced and have a description -- next step: scheduling. 07 July 2013 - Michal: Most non-phonology classes now have a title and an abstract -- amazing progress! 05 July 2013 - Michal: The confirmation period is drawing to its end -- if you haven't confirmed yet and were planning to, do so quickly! 03 July 2013 - Michal: There are now abstracts for the first two classes, both in semantics -- see the 'teachers and classes' link on the left. 03 June 2013 - Michal: Finally, the syntax component. To complement Sandhya, there will be Tom McFadden, who many of you already know and who will be talking about phases, edges and other dangerous objects, and myself, Michal Starke. I am still hoping to have one more person, but I am not sure we will get there. 31 May 2013 - Michal: The phonological component of the school springs to life: Wendell Kimper, Markus Poechtrager and Peter Jurgec, a great team of young reseachers! 31 May 2013 - Michal: Registration period extension: we already have a good number of applications, but for fairness, the deadline will be extended. This is because I haven't even announced all the teachers yet (due to long negociations! ), and hence some interested students will not even know that their teachers of interest will be there. Hence the extension for another week, until June 7th. 25 May 2013 - Michal: Next we have Jakub Szymanik, a man into cognitive aspects of quantifier meaning, and more generally complexity theory, cognitive science, formal semantics and friends. The game is heating up! 24 May 2013 - Michal: Our second teacher is Hazel Pearson, a semanticist who has been working on topics ranging from the existence (or not) of adjectives in Fijian to a PhD she recently completed on 'de se' readings, logophoric pronouns and related issues. Her research and Sandhya's complement each other well, so we should see a good amount of back and forth this summer. More generally, I smell a pronominal theme emerging for this school! 21 May 2013 - Michal: While we're waiting for the registration magic, here is one question you'll have to answer during the registration process. 20 May 2013 - Michal: hey people -- sorry to be late with the registrations. I want to change the procedure a little bit and hit some technical issues. It should be solved tomorrow though, so we'll go live by tomorrow evening at the latest. 11 May 2013 - Michal: Here we go: Our first teachers is the energetic and all-round awesome Sandhya Sundaresan, who recently wrote a treaty deliciously mixing cool semantics, exotic functional projections and Dravidian languages. 08 April 2013 - Michal: dear egg-lovers: as usual, this will be a last-minute omelette, but we hope it'll be as fun as usual! So yes, there will be an egg this summer, it will take place in the town that many of you know well by know, Wroclaw (Poland) and it will start on the 29th of July and jitter on until August 9th. See you there! 27 July 2012 - Tobias: here's the new timetable with Shanti's additional class (the sidebar b utton does not seem to work). 26 July 2012 - Tobias: Shanti Ulfsbjorninn offers a third class in a free slot of week 2 (first in the morning). The class is on the (non-)existence of moraic onsets, and a description is available on the classes page. The timetable is also updated. 23 July 2012 - Tobias: here's the certificate. As was mentioned this morning: you arrange the file as you like, print it and put it in a box (that will exist soon around the classrooms) until Wednesday evening week 2. You then collect the stamped and signed version on Th and Fr week 2. 23 July 2012 - Tobias: Paul Boersma has made a website for his class. 20 July 2012 - Tobias: next (and I hope final) version of the timetable (only one change: swap week 2 Hamann - Ulfsbjorninn). And the schedule button on the sidebar now works. 11 July 2012 - Tobias: the school is approaching, and the timetable is in the making... keep an eye on the site. 11 July 2012 - Tobias: the day to day programme of Silke Hamann's class is now available on the class page. 18 June 2012 - Tobias: Paul Boersma's course description has just come in. 16 June 2012 - Hedde: You'll receive an important message on the confirmation round either today or tomorrow. Please read it carefully. If you haven't got it (after tomorrow), please make sure your email address is correctly registered. If that's indeed the case, let us know. You can always see the mesages to all egg'ers bly clicking on the mailinglist archive in the green bar. 16 June 2012 - Hedde: Grant notifications have been sent out! You should have received an email about your grant status by now. If you haven't, please contact us (but check your spam boxes before :) ). 14 June 2012 - Hedde: It took us a while, but we can already let you know that those who are on the list and who did NOT apply for a grant, are all accepted. So you can make all your booking arrangements by now. If you asked for a grant, we will let you know the result very soon, within a few days. After that, we will inform you about the so-called reconfirmation period. 06 June 2012 - Hedde: Michelle Sheehan's course descriptions are now online too. 31 May 2012 - Tobias: Silke Hamann's course description is now online. 15 May 2012 - Hedde: And two more syntax/semantics teachers on board: Heather Burnett from (UCLA, but soon in Paris) and Barbara Tomaszewicz (USC), both from sunny California ... This completes the entire syntax/semantics selection. I'll start announcing classes tomorrow/Thursday. Cheers! 14 May 2012 - Tobias: Peter Szigetvari from Budapest completes the phono-programme. He'll teach a class on the skeleton. 03 May 2012 - Tobias: another phonology teacher has hopped on board: Shanti Ulfsbjorninn from SOAS. Class abstracts with reading lists will be the next step. And watch out for registration, which will take place in the 2nd half of May. 24 April 2012 - Hedde: Also, several of you asked about registration, etc. We will post the relevant information as soon as it is known and inform you about it in the usual ways. 23 February 2012 - Tobias: Hi everybody, we finally surface in late Febrary - I think this is breaking all previous records of being late. The venue for this year's EGG is now settled: the lovely Polish city of Wroclaw. Thanks a lot to Krzysztof Migdalski, our local org, who has worked hard to make things perfect with the dorm admin and the Department. The EGG has already benefited from the hospitality of Wroclaw. Like in 2005, classes will be at the English Department downtown, and the same dorms (the twin towers) will also be used. Stay tuned, more to come soon. 27 August 2011 - Michal: Marina Pantcheva sent an updated handout for her second week class -- the class page has been updated too. 15 August 2011 - Michal: Maybe this is the answer to a FAQ about some teachers at the school :) "Bare feet may also be better for the brain, which especially intrigues me. Bare feet, the theory goes, send lots of stimulating information to the brain. Shoe-covered feet have comparatively little to say to the brain causing nervous-system atrophy." 02 August 2011 - Tobias: The files of Diana's handout for her intro class (week 1), days 4 and 5, that were posted previously on her class page are corrupt. The good files are now online. 01 August 2011 - Hedde: For all grant students: grant reimbursement takes place Thursday from 12:00-13:00 in Lucie's office. Please make sure you have copies of all relevant receipts with you ("no copies no grant"). If you only got an accomodation grant, there is no reason to drop by (except for just saying 'hello'). 01 August 2011 - Hedde: the school issues certificates of attendance that you might need in order to grasp a credit or two at your home institution. In order to get a certificate, you need to download this file, fill in your name, the courses you want to receive credit for and anything else you need. Put the doc in the cerificate box in Lucie's office before Wednesday evening and it'll be waiting for you the next day. 01 August 2011 - Michal: The schedule for the second week has been slightly updated. 01 August 2011 - Michal: The handouts for Tom Leu's and Sabine Iatridou's 2nd week classes are now available on their respective class pages. 31 July 2011 - Tobias: Diana Passino's handouts for week 2 are now available on the class page. 30 July 2011 - Tobias: Diana Passino's handous from week 1 are now complete on the class page. 29 July 2011 - Hedde: There is a minor change in the schedule for next week: Daniel Altshuler's class on aspect will take place in the fifth slot (16:45-18:00); Marina Pantcheva's class on directional expressions will take place in the first slot (9:30-10:45). Both classes are held in P2. 27 July 2011 - Michal: The menza menu is now available here so you can decide when/if you want to have your lunches there. 27 July 2011 - Michal: The handouts for the Iatridou+Zeijlstra class are now available on their class page, and Peter Jurgec added his missing handouts and worksheet, see his class pages. 25 July 2011 - Michal: The handouts for the first three days of Taraldsen's classes have arrived. 23 July 2011 - Michal: Diana Passino's handouts for the first two days are now available too. 23 July 2011 - Michal: Tom Leu's handout for the first week is now available too. 22 July 2011 - Michal: The schedule is now available, as are the two handouts for Pantcheva's classes. 21 July 2011 - Hedde: Daniel Altschuler put some links to his class handouts on his course pages. Also Marina Pantcheva put handouts on her website: they are on http://www.hum.uit.no/a/pantcheva/. The handouts are under the link "Teaching". See you all soon! And then send the request together with the modified file to the local organizer Lucie Medová (lmedova AT ff.jcu.cz). 27 April 2011 - Michal: Registration deadline: since the deadline hasn't been properly announced (it was supposed to be today) and since there was a registration bug for some time, we'll prolong the deadline to the end of the week. You can thus register until Sunday May 1st. 23 April 2011 - Michal: For all of you who don't find their names in the list of registered people: if you are not there, you are not registered. The reason is most likely this: there was a problem with the last step of the registration procedure (the step where you write your self-description), which made it time out in a few minutes. So your registration was probably lost and you need to do the registration procedure again now that the problem is fixed. Sorry about that! 20 April 2011 - Tobias: Peter Jurgec' course descriptions are online. I will try put the pdfs of the reading material that he mentions online (but I'll be travelling now, so early May perhaps...). 19 April 2011 - Tobias: here is how the intro track (for people with little or no prior exposure to phonological theory) in phonology works this year: there is an intro to OT taught by Peter Jurgec, and an intro to GP (and particularly CVCV) by Diana Passino. One each week. 19 April 2011 - Tobias: Diana Passino's cours descriptions are now on the teachers/classes page. They will be supplemented with reading lists soon. Also, Peter Jurgec' descriptions will be in tomorrow. 16 April 2011 - Michal: The registration period has quietly started, unannounced. Congratulations to the 45 of you who already jumped in, and to Amui Chong who was the first to register! 04 April 2011 - Tobias: ...and here is the third phonology teacher, Diana Passino. Diana will be teaching the phonology of Italian dialects and varieties of Italian (which is not the same), with a special focus on external sandhi. 31 March 2011 - Michal: Ooops -- I didn't intend to make you guys wait so long! So our first new recruit is Marina Pantcheva, the master of didactic and cute slides, who is currently finishing a dissertation on the nanosyntax of path prepositions. Welcome! 15 March 2011 - Hedde: And another egg in the basket: MIT's Sabine Iatridou will join the teaching team this year. Hurray! 03 March 2011 - Michal: From Dragana Surkalovic's blog: "For me personally, as well as for many others, this school has been an inspiration and a decisive factor in life, and I wholeheartedly recommend it to anyone interested in linguistics" -- thanks Dragana, we should collect these testimonials at some point! 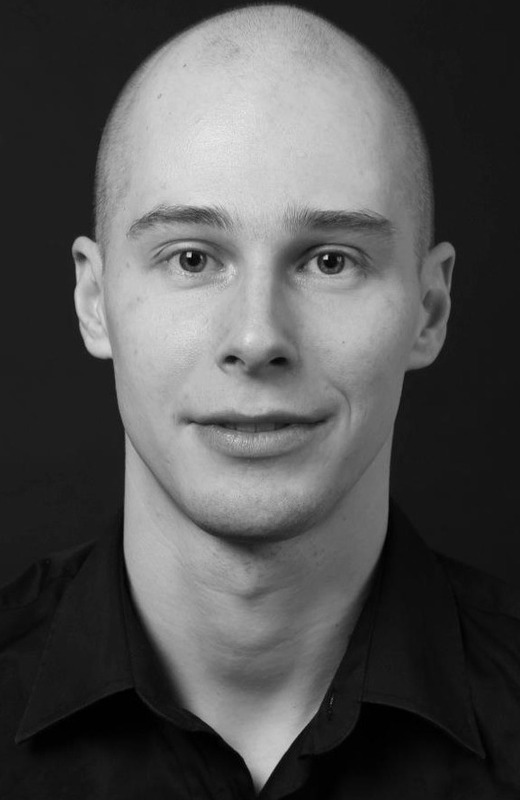 02 March 2011 - Michal: Tarald Taraldsen, who many of you know from last year, will be teaching again this summer - welcome! 01 March 2011 - Michal: Continuing the series of young phonologists: Peter Jurgec will also be teaching this year. 28 February 2011 - Michal: The teacher line-up is starting to clarify a little bit -- here is the first official recruit: Sylvia Blaho, the legendary ponologist that many of you know from previous eggfests, from CASTL and from many other places and events. 27 February 2011 - Michal: yes, we still exist and yes, there will actually be a school this year, like for the last 2 centuries or so, and we even know where! We've just been hiding under a rock, a particularly big and painful rock, this year. 11 August 2010 - Michal: the post-egg depression strikes again ;) - here is a Canadian participant speaking: "Back in Paris - it is almost crazy to say I miss Romania?!" 31 July 2010 - Tobias: here is the schedule for week 2, with the rooms properly divided between syntax (Senat room) and phonology (E8). 31 July 2010 - Tobias: if you want a Certificate or if you are a grant recipient, instructions how to get what you need are here. 24 July 2010 - Tobias: Marc has posted two sets of slides for our class on computation: have a look at (the bottom) of the class page. 24 July 2010 - Tobias: while people are already travelling... here is the definitive SCHEDULE, as will be advertised on Monday morning at the opening (9 am) (only change: Marika's two classes are swapped among week 1 and 2). 23 July 2010 - Tobias: a couple of pdfs have been added to the class page of the class that I'm teaching together with Marc - have a look at them if you plan to attend. 23 July 2010 - Tobias: material for Lobke Aelbrecht's class on ellipsis will be progressively available on Lobke's homepage (scroll to the bottom) (also linked from the class page). 22 July 2010 - Tobias: latest handouts online: 2x Marika Lekakou, Marc van Oostendorp's intro to phon reps. Links are on the relevant class pages. 21 July 2010 - Tobias: here is Pater's webpage for his Computing Optima class. It's also linked from the (bottom of) the class page. 21 July 2010 - Tobias: ...here is the latest version of the SCHEDULE, resolving both the previous clash and the one between nanosyntax and Roberta's class on agreement in week 2. - Preminger, both classes: link to the website Omer has set up for his courses and which will be progressively furnished. - d'Alessandro, both classes: a course outline is now available, and the handouts for each day. 14 July 2010 - Tobias: here is information on local xerox facilities from our local org Nicoleta: there are several copy/xerox shops around the university building open on summer as well. Two across the street actually. Every handout that comes in will be announced here. 14 July 2010 - Tobias: here we go for the first (public) version of the SCHEDULE. You may try to shout at me in case the schedule provokes you being cut into two pieces that will have to bilocalize - but there is no guarantee for success. If really a lot of people shout saying the same thing, we'll see. 13 July 2010 - Tobias: there is an updated version of the modularity-pdf for my class on naughty generativists (on the class page, also here). 13 July 2010 - Tobias: we are currently preparing the schedule - it will be posted in a few days, and everybody can then shout at us for changes. 05 June 2010 - Michal: All the abstracts are in (check the teachers and classes page). All the registrations are in too, so we can soon proceed to confirmations and move on. 31 May 2010 - Michal: As you might have seen on the linguist list and various mailing lists, the registration period in ending June 2nd, ie two days from now. Have fun registering, and don't forget to write some descriptive text, so that you have more chance of being admitted! 21 May 2010 - Michal: A new teacher and a new class have landed in our nest: Lobke Aelbrecht - an egg old timer :) -- will be teaching a one week class on "The syntax of ellipsis". Welcome! 20 May 2010 - Michal: The classes for M. Lekakou have been updated, and more classes are coming tomorrow if all goes well. it looks like we don't actually need to advertise the school, judging from the registration numbers! 17 May 2010 - Michal: Obviously, the server went down just the day registrations were supposed to start. I fixed it from an airport table and evertying seems to work fine now -- fingers crossed. We haven't announced the school yet anywhere, so this is presumably be a slow start, let's see. 12 May 2010 - Michal: The tentative plan is to have registrations start next week, Monday 17th, and to have them go on for 10 days. 07 May 2010 - Michal: Our next syntactician is Roberta D'Allessandro, who will be teaching one class on "Introduction to parametric and microparametric variation" and one on "an advanced primer to syntactic agreement". Now we're near complete on classes -- and soon we can proceed to registrations. Stay tuned, any day now. 03 May 2010 - Michal: The next syntactician on the programme is the venerable Tarald Taraldsen, and his first class -- accessible to non-advanced people -- will be about the syntax of nominal classes, through a particularly striking example of it: the Bantu class system. Another class description plus readings on the teachers & classes page: Joe Pater's Computing Optima. 23 April 2010 - Michal: Our first syntax teacher to announce her classes is Marika Lekakou. It looks like she will be teaching one class on syntactic doubling phenomena, and another class on recent developments in the research about so-called "middle constructions" -- sounds very cool. 22 April 2010 - Michal: I thought it was impossible -- but we did it: this year we managed to break our record of being late. There is a simple scientific explanation for this achievement: batgirl totally derailed the school organisation. She is under control now, and the school organisation will be catching up. Fast. Expect news to pop up here any moment. 22 April 2010 - Tobias: the missing phonologist has jumped on board: Joe Pater from UMass. More class descriptions soon - keep tuned. 11 April 2010 - Tobias: ...and here we go with the first two classes announced, those by Charles Reiss: check out the teachers & classes link on the left. More to come. 02 April 2010 - Tobias: Here we go for the first three phono teachers (one more to come): Charles Reiss (Concordia, Montreal), Marc van Oostendorp (Meertens, Amsterdam) and my dear self (Nice). We also hope to have a syntactician who does a class on (the history of) computation in syntax. 10 March 2010 - Tobias: here is a little more on this year's phono-theme. Phonology in Constanza will be organized around the question of computation in phonology. Classes will be centered around how exactly computation works. Is it serial with extrinsically ordered instructions or parallel with no extrinsic ordering? If there is extrinsic ordering, how should it be expressed (ordered rules, Prec constraints)? If computation is parallel, how is conflict dealt with (hard constraints, dominance, weight)? the communication between computational systems (cyclicity, phase impenetrability). Obviously, these issues are intimately related to cognitive science and what we know about how computation works elsewhere in the cognitive system. 09 March 2010 - Tobias: So here we are back on the chanin gang. Late, of course, but alive and kicking. EGG 2010 will be held in Constanţa / Romania from July 26th until August 6th. And there will be a theme for phonology (but we also hope to get the syntactic point of view...): computation. How is it done? What are the options available on the market? Parallal, serial, cyclic, rule-based, constraint-based, weighted or unweighted constraints? 03 August 2009 - Hedde: To all grant-receivers: please make sure you fill in the attendance sheets in the library. thanks. 27 July 2009 - Hedde: A message from Omer: "I've put up a webpage where I will be posting the handouts for the "Intro to Syntax" class. I'll try to make handouts available on this site at least one day ahead of time - but to be sure, check back on the morning of each class." The page is here. 25 July 2009 - Hedde: The schedule for week 1 has been changed. You can find it here. 25 July 2009 - Hedde: So, the fun is almost going to start ... and already on Monday at 9 am (sharp), when we gather in the classroom buildings for some welcome and introduction meeting. So please make sure, you're there by then (as we will also communicate some practical maters). Looking forward to seeing you all! 25 July 2009 - Tobias: Unfortunately Ali Idrissi won't be able to make to Poznan. Below are a few lines that Ali sends. It is with a lot of regret that I have to cancel my trip to Poznan. I have been fighting with this decision for about two weeks, but a literally crippling health problem, combined with a demanding 5-month baby at home, ended up making my trip and participation impossible. My sincere apologies to both the organizers and the participants, particularly those who were planning to attend my classes. 24 July 2009 - Hedde: Therehas been a bit of confusion concerning the grant mails. They will have to be hand-signed; which means that you need to print/sign/scan or print/sign/fax then (that's the easiest). Also, for those who applied for a grant (which is a grant paid by COST/Brussels) through egg - don't fill in the bank details now, but wait for that at the school. Egg will collect the money for you and you will be reimbursed onsite. People who applied for a grant through COST A33 should fill in and sign both forms. 19 July 2009 - Hedde: Bad news: due to family circumstances Linneae Stockall unfortunately has to cancel and won't be able to teach at the summerschool. 18 July 2009 - Hedde: This year we had the plan to organise some evening lectures. These are lectures intended to increase the intellectual atmosphere of the school and are aimed for the entire egg audience. If you feel you have something interested to present which is of a general nature, please let us know at summerschool AT auf.net. BTW It does not even have to be linguistics! Other sciences, cultural stuff, etc are also more than welcome... (much more actually than the latest feature acrobatics). Just let us know if you're interested and we'll try to come up with a nice program. 18 July 2009 - Hedde: If you receive an egg grant, or if you are reimbursed through COST A33, you recently received an email from Brussels. Now is the time to take action :) Please fill in the forms (at least the first one saying "grant") and send it back to Brussels. It takes less than a minute. You can just do that by email (for the signature, just type your name). PLEASE DO THIS BEFORE THE SCHOOL STARTS! 10 July 2009 - Hedde: Hi! You can find the schedule for the school here. 10 July 2009 - Hedde: Ali Idrissi changed the contents of his course a bit. It's now a 10 classes course called "External evidence and the linguistic structure of Arabic: Decomposition to the root in aphasic speech and child language"
09 July 2009 - Hedde: Mary Ann Walter just posted some downloadables for her course here. It asks for a question: read well and you'll know. 08 July 2009 - Hedde: And another annnouncement: if you have arrive a day earlier/leave a day later than the Sunday before the school and the Saturday after, please inform our local hero, Angieszka Pysz, at agape AT ifa.amu.edu.pl. You can also contact her for room sharing requests. 08 July 2009 - Hedde: Just a note saying that today is the final day for confirmation; so grab your chances! 04 July 2009 - Hedde: So confrmations are getting in! You can check whether you have confirmed or not on your own egg webpage (that you can enter through the list of registered people). BUT, it may take a few hours before everything is uploaded. If after couple of hours you still find your confirmation status being "no", send us a msg at summerschool AT auf.net. 03 July 2009 - Hedde: Everyone who has asked for in invitation letter thus far but hasn't received one as of yet, will receive it on Monday. 03 July 2009 - Hedde: The confirmation period hast started today. Just send an email to between Friday July 3rd and Wednesday July 8th from the email address you used for registration to confirm that you will be coming to Poznan for the egg. Make sure you do this on time; otherwise your will be automatically deregistered. BTW Some of you already tried to confirm before today. Those confirmations however could not have been processed so you'll have to do it again. 02 July 2009 - Hedde: Two practical announcements: (i) some of you may need a letter of invitation for visa procedures - if you need one, write us at summerschool AT auf.net and we'll send you one (a scanned doc); (ii) given the cooperation with Uli's cost project, which is EU funded, grant receivers will get a confirmation from Brussels as well (with a slightly different amount as this amount involves accomodation as well). You don't have to do anything with it, just don't be surprised (or think that you got a second grant ;) ). 01 July 2009 - Hedde: Just a note saying that confirmation starts on Friday July 3. E-mails sent out today or tomorrow (or after July 8th ...) cannot be processed. 01 July 2009 - Hedde: I just activated the mailing list for the summerschool. If you received the emails, you don't need to do anything else. If you are registered for the school but did not get the emails, please contact me at summerschool at auf.net. However, please check you spam boxes first - they may appear there. BTW If you didn't get an email, you can still read them by clicking the "mailing list archive" in the left green box. 30 June 2009 - Hedde: All notifications have been sent out. Next step is the confirmation procedure. Everybody who is registered will receive an email about the details of this procedure, but here are already the dates: the confirmation period will be from Friday July 3 till Wednesday July 8. 29 June 2009 - Hedde: Just to inform you: grant notifications will be sent out by tomorrow. Thanks for all your patience! 23 June 2009 - Hedde: Hi! Good news and bad news: The good news is that David's abstracts are online now; the bad news is that the doctors didn't allow Spyridoula Varlokosta to join us in Poland. Also, we ask you for a couple of days more of your patience but then all relevant information concerning grant notifications and the confirmation period will reach you. It's been taking a while, sorry for that, but it shouldn't take too long anymore. 09 June 2009 - Hedde: We still need a few days to finilize things before the confirmation procedure starts. So stay tuned, and you can expect some news in not too long. 17 May 2009 - Hedde: Registration is over now and we have exactly 300 applicants. Thats great of course, but also more than we can handle. Like every year, first well go through all the applications and evaluate the grant applications. After that we will start the confirmation procedure (probably around the 2nd week of June). In about two weeks from now (roughly) well send an email with instructions for this confirmation round. Hopefully the number of registrants will have decreased by then to a manageable size. 14 May 2009 - Hedde: One day to go before registration closes, grab your chances. BTW the faq has alo been updated with relevant information about Poznan and the dorms. 04 May 2009 - Hedde: The problem is fixed and registration is indeed open now. 03 May 2009 - Hedde: There is some technical problem due to which registration does not work as of yet. We're working on it, hopefully it is open very soon. 30 April 2009 - Hedde: One day to go! The faq now contains more travel information. Also, Bart Hollebrandse will teach an intro to language acquisition, so check the teachers+classes link (with abstracts for most classes now). And don't forget to register: space is limited, so make sure you do it early. 28 April 2009 - Hedde: Three days to go before registration starts! And ... we have one more teacher for you: Omer Preminger (MIT) will teach the intro to syntax and one other course also on syntax. So the enitire team for Poznan is now complete. 17 April 2009 - Hedde: Registration is open soon! Registration for the school will start on May 1 and we will accept registrations for the school for two weeks. The last day for registering is therefore May 15. When you register you need to give us an email address at which we can reach you until the school takes place. This is very important, since this email address will be added to the school's mailing list. Over this list you will receive important information regarding the confirmation of your registration, travel, visas, etc. When you register you also need to give us a brief description of your background and interests in linguistics. If you are from a country that belongs to the former east block, you also have to decide whether you would like to apply for a grant from the school or not. Grants are available to students from the former east block who currently live in one of those countries. If you qualify for a grant we can help you with money for travel, pay your room in the dormitory, or both. Grants are meant for people who would not be able to attend the school unless they received financial help from us. Grants are given on the basis of merit. The information you give us about yourself in the application form are the grounds for the decision. Since we usually get many more grant applications than we can afford to pay, we need a clear statement of your interests in linguistics and your background. Don't worry if you are a beginner and have limited background. We understand -- and we make sure that grants get fairly distributed to people with no, some, and a lot of background. To make sure that only those people get a grant who won't be able to make it to the school without one, we are going to apply the same principle that we applied last year: If you apply for a grant and are not awarded one, you are automatically deregistered from the school and won't be able to attend. 15 April 2009 - Hedde: As said before, a good time for finding eggs: David Pesetsky (MIT) will jump on board as well, teaching about syntax of case and ... syntax of music. 15 April 2009 - Hedde: In between the two Easterns it's the perfect time to find eggs: Eytan Zweig from York will join us and he'll teach a course on formal semantics and a course on neurolinguistic experiments. 07 April 2009 - Tobias: Class titles and abstracts are coming in... have a look at the teachers & classes page - the first two abstracts available are by Sara Finley. 01 April 2009 - Hedde: Two more eggs in the basket! Linnaea Stockall (Concordia) will teach about her work on morphosynatx and experimental/psycho- linguistics and Natalia Gagarina (ZAS Berlin) will join the COST forces by teaching about aquisition of tense and aspect. And even more eggs will jumb on board, so stay tuned. 25 March 2009 - Hedde: The FAQ is updated and you can find information about the school and about Poznan. Also, a number of course titles is already rolling in - you can find them under 'teachers and classes' link on the left. More titles (and teachers) will follow. 11 March 2009 - Hedde: Also from the syn-sem side, there will be a focus on the search to external evidence for linguistic theory, though there will be 'regular' classes as well. A number of eggs are already in the basket. The cooperation with Uli's COST project brings us Uli himself (ZAS Berlin), Bart Hollebrandse (Groningen), Spyridoula Varlokosta (Athens), Stavroula Stavrakaki (Thessaloniki) and Ewa Haman (Warsaw). We also have Hamida Demirdache (Nantes) and me (Amsterdam). More syntacticians/semanticists will follow. 10 March 2009 - Tobias: So off it goes for Poznan 2009. Like syntax and semantics, the phonology lineup this year focuses on 'external evidence' such as aphasia or real-time measures of brain activity that is brought to bear in order to argue about phonological theory. This orientation leans on another summer school that is organized together with EGG this year (something we've never had thus far), and which is specifically about SLI (as a piece of a project of Uli Sauerland's, COST). More on this soon in this theatre. Beyond this thematic focus, the phonology programme will however also offer regular classes that do not specifically draw on external evidence. 31 July 2008 - Klaus: Melanie has agreed to lead an informal discussion about the issues of doing linguistic work on a minority language. This will take place on Wednesday, Aug 6, 6:20pm in room 111/2. Everybody is welcome to attend and participate. 29 July 2008 - Klaus: The form for the certificate is now on the web at this place. Remember, if you need a certificate, download the form, edit it to suit your needs, print it out and leave it at the beginning of week 2 in the box that we will provide in the office. If you need your certificate not only signed but also stamped, please indicate so. You must have your printed out certificate in the box in the office at the latest at 7pm on Wednesday, August 6. 29 July 2008 - Klaus: Maria Gouskova's, Ben Hermans', and some of Jochen Trommer's materials are now on the web and accessible via the pages of the classes. 16 July 2008 - Klaus: I have now produced a website for my two classes. You can access them via the teachers and classes link in the left bar. 14 July 2008 - Klaus: Unfortuately, Gereon Müller has had to cancel and will not be able to teach at the school this year. I regret this greatly, of course. However, Winfried Lechner has agreed at very short notice to come to the school for one week and teach a relevant course. Hooray for Winnie! His course will be entitled: What remnant movement can and cannot do. 04 July 2008 - Klaus: The faq pages have been substantially updated over the past few days. Many people had questions about arrival/departure outside of the normal window of dates and how much that would cost. These questions should all be answered in the faq now. 20 June 2008 - Klaus: Confirmation is over now. 16 June 2008 - Klaus: Anthi Revithiadou has created a web-page for her class at egg in Debrecen. The link is provided in the class list. There isn't much there, yet, but the class materials will be coming online over the next couple of days. 12 June 2008 - Klaus: The confirmation period has now started. Please confirm participation to the school according to the instructions you received in your email. We will contact people on the waiting list after the confirmation period is over, i.e., after June 19. We have also sent out emails about grant decisions. If there are problems, please email me. To confirm, simply send an email from the email account you used to register yourself to "egg-confirm at auf.net". -- For everybody who is not deregistered by Wednesday night, the confirmation round starts on Thursday, June 12 and runs until Thursday, June 19. Please note that if you didn't get the message, you haven't missed out on anything really, as you can read all the mails that have been posted to the list by clicking on the mailing list archive on the left-hand side. 02 May 2008 - Klaus: We have now crossed the 200-applicant threshold. There are six hours to go. Apply now or miss your chance! 01 May 2008 - Klaus: Only today and tomorrow to go for registration. Make up your mind now, register, be there -- or, well, be a hollow egg. 28 April 2008 - Klaus: The final course description is now up -- we are complete. The frequently asked questions page has also been populated to a great extent. Take a look! 18 April 2008 - Klaus: I just added the titles and short descriptions for Marta Abrusan's classes to the list of teachers and classes. I have made the faq page visible -- although, if you want to find out things about Debrecen, how to get there, visas, the dorm... you will have to please wait until next week. By then the faq should be much more complete. At the moment, there is basically only information about registering and applying for grants there. ...and of course, the registration is open. 17 April 2008 - Klaus: Registration will begin tomorrow! Space is limited, so make sure you register early. Registration for the school will start on April 18 and we will accept registrations for the school for two weeks. The last day for registering is therefore May 2. If you are from a country that belongs to the former east block, you also have to decide whether you would like to apply for a grant from the school or not. Grants are available to students from the former east block who currently live in one of those countries. If you qualify for a grant we can help you with money for travel, pay your room in the dormitory, or both. Grants are meant for people who would not be able to attend the school unless they received financial help from us. Grants are given on the basis of merit. The information you give us about yourself in the application form are the grounds for the decision. Since we usually get many more grant applications than we can afford to pay, we need a clear statement of your interests in linguistics and your background. Don't worry if you are a beginner and have limited background. We understand -- and we make sure that grants get fairly distributed to people with no, some, and a lot of background. To make sure that only those people who actually need a grant get one, we are going to apply the following principle this year: If you apply for a grant and are not awarded one, you are automatically deregistered from the school and won't be able to attend. For those who have attended previous egg schools, this is a change from the earlier policy, where people who did not get a grant still had the option of attending on their own money. The new rule is: if you apply for a grant but do not get one, you are out. Melanie Jouitteau has joined the team for this summer, completing our teacher lineup. Gereon Muller's course titles and abstracts are online now. In case you were wondering, Gereon intends to argue that remnant movement does not exist! Roland Hinterholzl's course description have been changed slightly. 07 April 2008 - Michal: From Curt Rice: It looks like there's going to be an phonology workshop in Hungary shortly after the EGG that you might want to include in your summer plans. It's a little seminar on the occasion of the 40th anniversary of SPE, officially co-sponsored by CASTL. If you're in the neighborhood, you might want to participate. The keynote talks will be by John Harris and David Odden. The date isn't written in stone yet, but I think it's going to be approx. Aug. 21-23, or so. 01 April 2008 - Klaus: ...and my own course descriptions are now both posted as well. 01 April 2008 - Klaus: The program is beginning to take shape also on the syntax side of the school. I have just posted Øystein Nilsen's titles and course descriptions to the list of teachers and classes. 30 March 2008 - Klaus: The list of classes for phonology is complete at this point. I have also just posted Roland Hinterhölzl's course descriptions. More syntax descriptions to follow soon. 24 March 2008 - Marc: Jochen Trommer's course descriptions have arrived as well! Jochen will teach an introductory course on so-called 'nonconcatenative' morphology, and ways of treating them as concatenative, as well as a topical class on mutation, and ways of treating that in a phonologically sensible way. 20 March 2008 - Marc: We added the abstracts for the phonology classes by Anthi Revithiadou (an introduction to the typology of stress, and a research class on interface stress systems) and Maria Gouskova (an introduction to OT and a topical class on phonology and the lexicon). More phonology abstracts will follow soon! 19 March 2008 - Klaus: I am very happy to announce that another egg hatched. This one in a double sense. We will be joined in Debrecen by Marta Abrusan, who some of the more regulars may still remember as a student at egg a few years ago. Marta has hatched and is now back in a new role. 06 February 2008 - Marc: We have a complete line-up of phonology (and morphology) teachers: Maria Gouskova (New York), Ben Hermans (Amsterdam), Anthi Revithiadou (Rhodes, Greece), and Jochen Trommer (Leipzig). All four will teach an introductory class (Maria on OT, Ben on syllable structure) and an advanced class. More information will appear here soon. 24 January 2008 - Klaus: Another egg in the basket. Roland Hinterhölzl (Humboldt University, Berlin), who has argued staunchly that remnant movement is the only reasonable approach to verbal syntax in germanic, will be joining us in Debrecen. The egg school 08 will be held in Debrecen (Hungary) from July 28 2008 to August 08 2008. 23 November 2007 - Klaus: Egg 08 in Debrecen is going to be another experiment with thematic schools. Syntax will have its own theme next year: remnant movement -- the movement of constituents that contain traces which are not bound on the surface. As this list makes obvious, remnant movement is a very powerful tool that needs to be constrained if its explanatory value is not to be lost. Every application of remnant movement makes the question more urgent: where are the bounds? This summerschool will bring together syntacticians who bring different perspectives to the issue of remnant movement, its promise as an explanatory device, and its limitations. The team will include Gereon Müller, whose book on Incomplete Category Fronting is a classic in the remnant movement literature, Øystein Nilsen, who showed in his thesis that remnant movement can be used to tackle and describe elegantly even the most complex word order patterns, and me -- I have been trying to act as a whistleblower and demand a more constrained theory of remnant movement than is currently available. 03 August 2007 - Hedde: The school issues certificates of attendance that you might need. In order to get a certificate, you need to (1) download this file; (2) fill in your name; (3) fill in the courses that you have attended; (4) add any information that suits you or is relevant for your home institution; (5) print out the file, which can be done in the printing room in dorm A2; (6) put it in the "In Certificate" box before Wednesday evening of the second week (the box will be in classroom A); (7) give us a day in order to sign and stamp it; (8) collect it in the "Out Certificate" box Thursday after classes (also in class room A). Thats all! 02 August 2007 - Hedde: The addditional handout for John Harris class can be found here. 23 July 2007 - Tobias: We try to minimize the use of paper. All handouts available are here, and the site will be growing as new ones come in. Please download them and make them available to you in whatever form suits you. Note that the school will not provide any xeroxing facility. 23 July 2007 - Tobias: There will be a pre-school workshop on Czech in generative grammar organized by Lida Veselovská Saturday 28 July 10h45 at the dorms (probably in one of the classrooms). Alas, talks will be not only about, but also in Czech. The programme is here. 20 July 2007 - Tobias: The five handouts for Ben Hermans' second week class are now available here (also from the class page). 16 July 2007 - Tobias: The five handouts for Ben Hermans' first week class are now available here (also from the class page). 02 July 2007 - Hedde: The schedule is now available. You can check it out here. 04 June 2007 - Michal: the confirmation round started today (and ends Friday) and is going strong - 84 confirmed participants at the end of the first day. 29 May 2007 - Michal: many new abstracts are now online - check them out. 23 May 2007 - Michal: Several new abstracts have appeared on the class page, and a few new FAQ questions (concerning travel) have also been updated or created. Have fun reading! 20 May 2007 - Tobias: Andrew Nevins has sent over a description of his underlying structure course. Have a look at it, there is also a link to more reading and literature. 03 May 2007 - Michal: The mystery titles have now revealed themselves so the list of titles is now complete on the teachers/classes page. 03 May 2007 - Michal: ... and about an hour later, the first registration is in: welcome Jaroslaw Hirny! 25 April 2007 - Hedde: Another egg in the basket. Olaf Koeneman from Meertens Institute Amsterdam will also be teaching this year. This will be a two-week class, organized in two consistent one-week divisions. 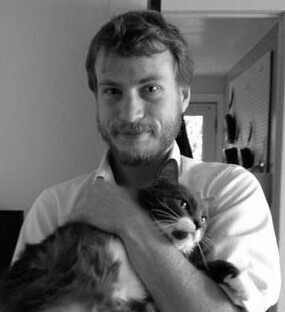 20 April 2007 - Tobias: Ben Hermans (Meertens, Amsterdam) has joined the phonology programme. So phonology is complete: Andrew Nevins, John Harris, Ben Hermans, Bruce Morén. Titles and abstracts will drop in soon. 05 April 2007 - Hedde: More good news: Theresa Biberauer from Cambridge also jumped on board. 05 April 2007 - Hedde: Good news: Elena Herburger (Georgetown) will join the teachers team in Brno. 30 March 2007 - Michal: Every year, we beat our own record in starting to organize the school late. This year I think the syntax/semantics team has managed not only to beat the record again, but has become so late that it is probably unbeatable in the future. April is coming, and we still don't have a teaching team. Or only the start of one. Negociations are underway though, so expect news soon! 02 March 2007 - Tobias: have jumped on board: John Harris (UCL), Bruce Morén (Tromsø) and Andrew Nevins (Harvard). More to come. 08 February 2007 - Tobias: Here is the 07-school... late (as usual), bute alive and kicking. This year the school will be held in the lovely city of Brno (you will have to exercise for these words without vowels), the capital of Moravia. It will run from Monday July 30th to Friday August 10th. Keep an eye on this page, more about the programme soon. 07 August 2006 - Michal: The first pictures are coming in - thanks to Agnieszka Chada. 04 August 2006 - Michal: heard today - Pritty: "what's with this sleeping business?" 04 August 2006 - Michal: heard yesterday - Michal Starke: "I will not go into syntax in my classes and I refuse to answer any syntax questions". Glyne Piggot: "I refuse to talk about phonology in my classes". Now that's a succesful pf-interface school! 28 July 2006 - Tobias: Glyne Piggott's handout for week 2 (different from the preceding material) is now available from the class page - please download and print. Hardcopies will also be available on Monday in the staff room. 25 July 2006 - Tobias: IMPORTANT: the wrong version of the timetable (v3)has been distributed on paper. The correct version (v4) is here. The difference affects only one class in week two. 24 July 2006 - Tobias: certificates: here is how you get yours. And here is the practical info about the school that has been announced at the opening on Monday week 1. 20 July 2006 - Tobias: material for Glyne Piggott's research class is now available from the class page. 18 July 2006 - Tobias: material for Glyne Piggott's intro on stress (course outline and handout) is now available from the class-page. 18 July 2006 - Tobias: IMPORTANT please have a look at the latest version of the FAQ: the address of the hostel has changed. 03 July 2006 - Tobias: the handout for Marc van Oostendorp's coulour class is now available on the page of the class. Please note that there will be no hardcopies available on site. 01 July 2006 - Tobias: the timetable is now available. We have tried to avoid phon-phon and synt-synt concurrence, but of course this year being thematic, the common pool of interest is much bigger than in other years. So probably many people will want to change this or that, and it is clear in advance that all requests cannot be satisfied. But anyway, please express yourself on , and we'll see what we can do if there are massive requests. 29 June 2006 - Tobias: a detailed day-to-day programme of the course taught by Bendjaballah & Haiden is now available on the teachers&classes page. 11 June 2006 - Tobias: The handout for my courses is now available from the teachers & classes page. If you plan to attend, please make sure you have it in class: no printouts will be available onsite. 11 June 2006 - Michal: Now that the confirmation period ended, there are 163 persons left attending the school (out of the initial 250+). 03 June 2006 - Michal: The grant-decision letters finally went out today, and the confirmation procedure seems to have started fine. Soon the "confirmed" tags will start appearing on the webpages of people who succesfully confirmed. 29 May 2006 - Michal: Same story playing out again: we'll have to shift the confirmation period by one day. So it should now be from 2nd to 9th June. I'll confirm it all on the mailing list, and will give instructions too. 23 May 2006 - Michal: Sorry for the long silence (again) - this year has a bumpy start... Several persons have asked about the confirmation period: it will start June 1st and will end June 8th. 07 May 2006 - Michal: The abstracts for Ad Neeleman and Joe Emonds are now available from the classes+teachers page. 19 April 2006 - Michal: For all of you who applied for a grant, the webpages were wrongly showing 'no grant' for you, but the data was safely ok in the database. The webpages are now showing the correct numbers - check your own page. 16 April 2006 - Michal: things are back in order - or at least they seem to. We've had a mysterious server problem for a couple of days, which stopped the registration process after the first day. It's now back on, and I hope you guys register at a slower pace :) - I think we have never seen 73 registrations in the first day! 15 April 2006 - Tobias: Ricardo Bermúdez-Otero's abstract has just come in - all phonology abstracts are now online. 13 April 2006 - Michal: I just turned the registrations on - a bit earlier than expected. The first users will inevitably encounter some technical issues, please report them to us at 'summerschool @ auf net'. Thanks and good luck! 10 April 2006 - Tobias: the last phonologist has jumped on board: Marc van Oostendorp will teach an intro to OT and a class on his thoughts regarding the interface (both abstracts are online). Since at least 1999, Marc has argued in a series or articles that enriched representations are the key to an adequate interface theory in OT - a viewpoint akin to Ricardo Bermúdez-Otero's, but fairly outstanding in the OT scene. 09 April 2006 - Michal: Due to a couple of technical issues, the registration period will be delayed by a few days. To be on the safer side, we'll try to start it on the 14th (instead of the 10th) and will prolong it to Friday 28th. 05 April 2006 - Tobias: phonology ahead: almost all abstracts are in (Piggott, Bendjaballah, Haiden, one of mine). 04 April 2006 - Tobias: there is still one phonologist to come, but Marc will only know whether he can make it to Olomouc next week, so I can't announce him - yet I hope. over the past 20 years, the landscape of the interaction of phonology with morpho-syntax (looked at from the phonological side) has been dominated by two theories, Lexical Phonology and Prosodic Phonology. Both have been transferred into the more recent constraint-based environment: the central instrument of Prosodic Phonology, the Prosodic Hierarchy, is present in (I think) all versions of OT, and the continuators of Lexical Phonology are Stratal OT and DOT (Derivational OT) (although the modern versions are more than just OTed Lexical Phonology). The hot issue in OT is the eternal derivational problem: Stratal OT and DOT have carried derivationalism into OT and claim that this is needed for domestic phonological reasons, but prominently so because of the interface. This line of thought is represented by Ricardo Bermúdez-Otero from Manchester whose work revives interest in what was called morpho-phonology some 20 years ago. Unlike much work in OT, Ricardo is very careful at drawing precise borders of the different modules: how much of morphology can phonology access, and what are the channels that this information flows through? Ricardo has a forthcoming book called "Stratal OT", of which you can download two chapters (among which the theoretical one) on his site (http://myweb.tiscali.co.uk/bermudez/). Another player has entered the scene some 10 years ago, but rather from the non-phonological side: Distributed Morphology. Although this theory obviously raises many phonological issues, the body of work devoted to phonology in DM is still slim, and DM has not really reached the phonologists' quaters yet. We are trying to change that with two representatives of DM, Tatjana Marvin and Glyne Piggott. Glyne is really at the forefront of carrying the ideas of DM into the phonological world and into the minds of phonologists - a hard job, but Glyne is good at that. Jackendoff's parallel option of modular architecture is represented by Sabrina Bendjaballah and Martin Haiden. Martin has a recent book on the organisation of the lexicon and its communication with morphology and syntax. Sabrina and Martin have done joint work on the phonology-morphology interaction as well as on the particular situation that arises in non-concatenative morphology of the Semitic kind where morphology is, so to speak, in-built in the phonology. Finally, I have myself worked on the processing of non-phonological information in phonology (part of that is in my 04-book, the main body will by in volume 2 thereof, which I am presently writing). I will teach a historical overview course on interface (viewed from below, i.e. from the phonologist's perspective), and then in week 2 expose my own thoughts on the matter. I believe that Distributed Morphology is right, but incomplete: it needs to be supplemented with a representational means to talk to phonology, and representational info must not transit through any intermediate object such as "#" or the Prosodic Hierarchy - it must be directly encoded in phonological vocabulary. And finally, I (Michal Starke) will be teaching too. I have been working on very fine-grained syntax and how those exquisite fine structures are spelled out phonologically, so I'm happy to contribute to the theme of the school this year. I'll be teaching what I call "nanosyntax"
30 March 2006 - Michal: Next syntactician in line: Joe Emonds. Joe needs no presentation, as he has made crucial contributions to the theory of syntax right from the 70s up to today, and his center of interest nowadays is precisely the interface between syntax, morphology and phonology. This is starting to be a very nice line-up! 28 March 2006 - Michal: The 2nd syntactician is Tatjana Marvin, who is working in Distributed Morphology and syntax - ie. exactly on the interface. Tatjana actually started as a student at the school, many years ago and went on to get her PhD from MIT - so it is a special pleasure to have her as a teacher this year! 27 March 2006 - Michal: First syntactician: Given our focus on the phono/morpho/syntax interface - we're going to have syntax people who have given some thought to the other side. Particularly the morpho-phonological part of "the other side" (not the focus/intonation connection). The first in line is: Ad Neeleman. Ad has both strong opinions about the (non-)relatedness of syntax to morphology, and has done some real and productive work in the domain - a not-so-frequent case. 26 March 2006 - Michal: ok, the fun can slowly start. I think we are beating our own record in lateness this year :) The "registration" link is now alive, and leads to some meaningful information. Stay tuned for more tomorrow. And there is more to come, so keep an eye on this, we will have ads more frequently now. 07 December 2005 - Klaus: egg 06 will be held in Olomouc, Czech Republic, from July 24 to August 4. 11 August 2005 - Luisa: After all the sluicing and smooching, and after having properly rested and given our livers a break, we are ready to post your pictures on the school's website. Send them to Klaus at klaus.abels AT hum.uit.no. Enjoy the rest of your summer! 27 July 2005 - Klaus: I have just uploaded the certificate form to the egg server. You will find it at http://egg.auf.net/05/docs/certificate_05.doc. Please download it, fill it out, print it out, and submit it to us in the egg-library so that it can get signed, stamped and returned to you. Deadline for doing this is Tuesday! I have also uploaded the handouts for Cecila's courses. They are at http://egg.auf.net/05/docs/handouts/Cecilia. 22 July 2005 - Klaus: Countdown: Three days to go -- I promise that we will not delay the launch of the summerschool because of a defective fuel sensor. We definitely will not do that. The news is that there has been a change in the tram connections in Wroclaw. The place is under construction, but that makes it all the more interesting. There have also been several changes to the class-pages and some handouts are available online now. 20 July 2005 - Klaus: Only five days to go. A flurry of activity has set in. There are lots of updates to the faq, maps, info about dorms, internet,... the egg is hatching. 18 July 2005 - Klaus: The countdown to the school is running. Today in a week we will be kicking off! As you will have seen, the FAQ has been updated several times over the last couple of days. Keep checking. Also we know have a place and time for the opening of the school. Next Monday you are all kindly requested to go to Aula Leopoldina in the main University building for the opening of the school at 9:30-10:00am. We will kick off the school there, let you in on some of the details you will need to know to navigate the two weeks ahead, introduce ourselves,... and if all that is not enough, I am told that the Aula Lepoldina is a very impressive baroque hall - for all the architecture buffs around. Also, I am convinced that there will be an inofficial start of the school Sunday night in some local bar. In fact, rumors have it that there is a bar open just for us at the back of the building right across from the dorm: the Plus Minus. 10 July 2005 - Hedde: The schedule is currently available at http://egg.auf.net/docs/Schedule05.html. 08 June 2005 - Klaus: I have just uploaded the invitation form. I hope it does the job. For further information and backup procedures in case it does not work, please look at the faq. The invitation form is here. 26 May 2005 - Klaus: I have just uploaded a very preliminary and rough first shot at a faq page for this year. You find it in the left sidebar of the webpage or at http://egg.auf.net/docs/faq.html . We will keep improving it and adding information, but to start the ball rolling, here is a preliminary version. 24 May 2005 - Tobias: The Jensen 94 paper, which Jonathan's & Markus' Big Tree class refers to, is now available at www.unice.fr/dsl/tobias.htm then "other people's papers". 22 May 2005 - Tobias: Course material for Marc's classes has come in, ckeck it out at his class pages: Input-Output, Microvariation. 13 May 2005 - Klaus: The decisions concerning grants and who will be admitted to the school have been made. Once a few technical hurdles have been cleared (today or tomorrow) we will send out emails to everyone. 12 May 2005 - Michal: We now have all abstracts and all class titles - yay, check it out! 25 April 2005 - Tobias: the phonology abstracts are now complete (except Jonathan's...) - have a look at them at the classes page. 20 April 2005 - Michal: Given that a number of people had registration problems, and that we just had a major change in the teachers at the school, we decided to extend the registration period by a few days. The new deadline is April 25th. 18 April 2005 - Klaus: We have a change in program to announce: Unfortunately, Edwin Williams and Martin Prinzhorn have told us that they will not be able to attend the egg 05 after all. For all of you who were looking forward to their classes, we're sorry about this. However, I am very happy to announce that Ad Neeleman, Lanko Marusic, and Rok Zaucer have agreed to step in and help us out. So: cheers for the three of them! The titles of their classes will be coming soon to this screen. 13 April 2005 - Tobias: Check out the teachers and classes link, a new class in phonology has come in (microvariation [sic: phonology, not syntax]), and two abstracts are now available. Abstracts will be in soon. 04 April 2005 - Luisa: Check out the "Teachers and Classes" link on the left for updates on titles and abstracts. Ede Zimmermann's abstract for his advanced class, "Unspecific Objects", just arrived. 30 March 2005 - Tobias: The fourth phonology teacher has jumped on board: Christian Uffmann from Marburg. - finally, they co-teach a class on length in phonology. van Oostendorp's and Uffmann's titles, as well as all the abstracts, soon in this theatre. 30 March 2005 - Michal: A bunch of new class titles have just landed. 29 March 2005 - Michal: I have added some registration information to the registration page. Also, the missing titles for classes should be coming in over the next few days - hopefully. 21 March 2005 - Klaus: The program for the school is taking clearer shape. Steve Franks just sent in the titles for his courses. At the introductory level he will teach Introduction to Slavic Comparative Syntax and at a more advanced level there will be Microvariation: Slavic Clitics. 18 March 2005 - Tobias: bad news: we lost Paul de Lacy, who can't escape Uncle Sam while greencarding. Back with more on the fourth phono-egg soon. 09 March 2005 - Luisa: Yael Sharvit, from Connecticut, joins the semantics team! 10 February 2005 - Luisa: Good news! The first semantics egg has hatched: Ede Zimmermann will be joining us from Frankfurt. More semantics news coming soon! 24 January 2005 - Klaus: Right. And one shouldn't forget about oneself. So: I will be teaching the introduction to syntax this summer. Ready for the ride? Steven Franks from Bloomington, Indiana, familiar from his comparative work on Slavic. Also joining us will be Jeroen van Craenenbroeck, who recently got his Ph D in Leiden and who used a microcomparative approach to Dutch dialects. The programme will be available in this theatre soon. 01 January 1901 - Michal: Rumors are that the egg organizers are now discussing where to hold the school in 2006, 2007 and 2008. They currently seem to know of offers by Craiova, Brno, Debrecen and Olomouc. Any comments, desires or other offers are welcome and should be mailed to 'egg . org @ auf . net'. 18 August 2004 - Michal: Michael Wagner has now put his pictures on the web. Enjoy! 13 August 2004 - Michal: To all of you Cluj eggers: here is a page to give us some feedback on the school - please take a few minutes to tell us what you thought about the school. Hopefully, that'll help us with organising the next one. Thanks! 10 August 2004 - Michal: I just noticed that much of the content of Oystein's class (2nd week) has now been added as a squib on lingBuzz. 29 July 2004 - Hedde: Certificate page: the school issues certificates of attendance that you might need in order to grasp a credit or two at your home institution. In order to get a certificate, you need to: (1) download the certificate; (2) fill in your name on the first line; (3) cut out the courses that you did not attend; (4) add any information that suits you or is relevant for your home institution (5) send the file to zeijlstra AT yahoo.com; (6) we will process certificates from Wednesday morning of the second week; (August 4th) on, and we need a day to do that. So if you want your certificate on Thursday, you will want to have the file sent by Tuesday evening; (7) there will be a box in the library where signed and stamped certificates can be collected. 16 July 2004 - Hedde: Finally, there's also a (preliminary) schedule for the school. You can check it out here. 06 July 2004 - Luisa: The description of the class "Covert Variables at LF" has been updated with juicy information about readings and plans. Enjoy! 01 July 2004 - Michal: People who did not confirm are now definitively deregistered. As a result, there are now 177 registered persons. 23 June 2004 - Michal: We now finally have a FAQ. (As Luisa says, don't try to pronounce this at home.) Some answers are still incomplete/uncertain so take this as a preliminary version! 22 June 2004 - Michal: The confirmation round started yesterday morning (in fact at 1:30am, when Klaus Harnack sent the first confirmation :). So far 90 persons confirmed their attendance. 02 June 2004 - Michal: We have now almost finished the grant decisions, they should be going out tonight, or at the latest tomorrow morning. 26 May 2004 - Michal: The incredibly early organisation of Wroclaw05 is moving forward. We now even have tentative dates a year in advance: 25 July 2005 to 5 August 2005. If anyone knows of conflicts, or other problems with those dates, please let us know. 25 May 2004 - Michal: Now that all applications are in, much of the communication and newsflashing switches to the mailing list (which is why it is so important that you have a working email address). See you there! 19 May 2004 - Hedde: Hi, if you register it may be that your name does not appear on the registered people list, but if you click on your country-page, your name should appear in the list. If that's not the case please contact us. 18 May 2004 - Luisa: Are you having problems registering? If so, send us a message to summerschool @ auf.net. 13 May 2004 - Michal: The 100th applicant has just hit the submit button - that was fast! Welcome to Judith Kainhofer (who is actually a bad example of applications, since there is an empty self-description - I will have to change the programme to reject those! (Done)). 12 May 2004 - Luisa: With Curt Rice's abstracts in, almost all abstracts are now posted. Enjoy! 12 May 2004 - Michal: Ok, things seem to be back to normal. Registrations worked fully again since yesterday around 2am, and a couple of editing glitches were fixed this morning. Let's hope it'll be smooth from here! 10 May 2004 - Michal: Some new class titles arrived, almost all of them are in now. Several abstracts have also popped up. 07 May 2004 - Michal: I tentatively turned registrations on yesterday evening without announcing it, and we already have 8 registered persons :) It seems to work fairly well, so feel free to use it. Please do report any problems you find to us. 06 May 2004 - Luisa: Some more abstracts! And even more coming soon, hopefully... Another piece of good news is that Orin Percus will probably be joining us. If he comes, he will co-teach semantics with Luisa Marti. 03 May 2004 - Michal: After several hours of coding, most of the registration process is ready. I will be away for the next two days, but back on the keyboard Wedn evening. So it is conceivable that by Thursday, the registration will be alive and kicking. 28 April 2004 - Michal: Lots of new info in the classes/teachers page, and with a little luck, more coming over the next few days. Speaking of the next few days, registrations will begin soon. 13 April 2004 - Michal: The first class announcement and abstract! Several more coming. 07 April 2004 - Michal: Added the registrations dates for this summer! Ooops! 06 April 2004 - Michal: And finally, two more teachers, bringing us to eleven: Markus Kracht, doing computational linguistics at UCLA, and our legendary Jonathan Kaye. 24 March 2004 - Klaus: Organizing of the egg '05 summerschool which will, so god will, take place in Wroclaw (Poland) has just been kicked off! Champagne! 21 March 2004 - Michal: Two more! A syntactician, Alexandra Cornilescu, from Bucharest, and a phonologist, Curt Rice from Tromso, all the way up there around the North Pole. 18 March 2004 - Michal: As the link on the left reveals, we have three other recruits: Luisa Marti, who will be teaching semantics, Tom Roeper from uMass, who will probably be teaching both language acquisition and morphology, and our traditional Tobias Scheer, who hasn't been teaching for a few years and is itching to be back on stage. 16 March 2004 - Michal: The next two teachers are: Michael Wagner, from MIT, concentrating on the phonology/syntax interface; and Oystein Nilsen, from Tromso, concentrating on the syntax/semantics interface. 12 March 2004 - Michal: Here we go again! (hopefully...). This site is now running new (unfinished) software designed to make it easier - and quicker! - for us to organise the school. It used to run on software that I (Michal Starke) had written about 4 years ago, which made a lot of stuff automatic, and made it possible for just a couple of persons to organise the whole thing. But it all depended on me pushing the right buttons in the right order, and as we grew to be 5-6 people organising, we needed something more collaborative (otherwise I remain a bottleneck -- and schools are always late, as you can see very clearly this year). So I started writing a new version about a month ago, and today I put a first draft online. It is unfinished, buggy, etc. but it gets us started -- and it allows you to read this blog entry :) Hopefully it will not be too much of a rocky road, and new features will be appearing regularly. 14 January 2004 - Hedde: Hi! Egg '04 is coming! It's going to be held in the city of Cluj (Romania), starting on July 26 until August 6. As soon as we know more, we'll keep you informed. 02 July 2003 - Hedde: The schedule is ready. Check it out! 01 July 2003 - Klaus: As you all know, the confirmation is on now and has been on since June 30. It'll work until July 5, so confirm now! To do so send an email to egg-confirm@auf.net as explained in Tobias' posting. Our server will accept confirmation from Monday June 30 to Sunday July 5. 2. Also, keep in mind that if you confirm and then you do not come, you will have the special privilege of getting on the rotten-eggs list, which buys you the pleasure of being banned from the school for 3 sweet years. 3. You have 6 days to do your confirmation. The confirmation procedure will stop working on the 6th of July. 4. Your page on the web-site will be updated when you confirm, but it is not automatic so it will take a little while (1-2 days) before it pops up there. 5. once the data in, we will will get back to you with conclusions regarding attendance and bed-allocation as quick as possible. 12 June 2003 - Tobias: There has already been some information on air, here is some more. This is actually meant to get dorm-requests low: look how ugly the dorm is. The building is from the 50s, it's the oldest dorm on-site. Accommodation will be in three-bed rooms only. The comfort is basic. Showers and toilets are on each floor, and running water in the room. Students have fridges in there, erratically, and leave them over summer. There is a kitchen on every floor with an oven and heating facilities and a table, but no pots and pans. Access is 24h, through a porter at night. 5 min walk to the classrooms, 15 min to the old town. 10 June 2003 - Tobias: 1. no selection after confirmation ! 1. based on your self-descriptions, a few people have received a personal message saying that egg is probably not the right place for them to be. 2. all others may rush to the ticket office and make travel arrangements: we have decided not to limit access after the confirmation procedure. This sounds nice, but there is a price to pay: we risk to dynamite the accommodation space available. Our overall capacity is about 160 beds for students. 3. so, practically speaking: we hope for natural fall-out through the confirmation procedure. If there are more than 160 people left after that, we distribute beds according to one clear criterion: Easteners first. Hence, some Westeners with home-made euros or dollars may have to look out for another place to lay down their head. This means hotels etc. Of course Gienek, our local organiser, will do everything he can in order to come up with hotel info and so forth, but you must be aware of this complication. 4. among Westeners, how do we decide who gets a bed in the hostel? Good question. One option is first-come-first-serve. If you have a better idea, please tell us, tell everybody on egg.03.